Some buildings have souls. They live and breathe and remember things. I'm THE CREW'S NEST, a public house, though I've also been described as an inn, a hostelry and a pub. I've been here since 1793, on The Hard overlooking Portsmouth Harbour, and have seen and heard much of interest over the years. Until recently a pub was a meeting-place, where locals would congregate and swap stories about their work and home lives, where they would sing and laugh and be entertained by characters and musicians, where loves blossomed and, sadly, sometimes died. In the days before plastic and television. Now there is talk of pulling me down to make way for some tall edifice; an office block, or a multi-storey car-park: these places do not possess souls. Always they - the faceless 'they' - seem intent on pulling down the old, discarding the substantial that is redolent with memories to replace it with the plastic and the 'new'. I have heard this plaint often enough to believe there is truth in it. Modern builders generally don't use the right materials - they are artificial; even the wood isn't real! I've seen the buildings all around me razed to the ground and in their stead pristine offices rise, gleaming and bright, full of empty promise until, in no time at all, they quickly tarnish and look thoroughly woebegone: they entirely lack character. These new places are constructed using manufactured stuff where in the old days the materials were hand-created, with the touch of man and woman in the straw, in the carving, in the feel of the very fabric of the building. That human contact imbued us with a life of our own. I know they are talking about pulling me down because I listen. Every fibre of my being can absorb thoughts and feelings and over time I have even learned a number of languages, though the modern vernacular is the most difficult as there seem to be new words to comprehend almost every day. Before I go the way of most old buildings, I would like to tell you about some of the people I have known. I shall begin with the present and my current owner, Ruth Gibson. Ruth Gibson raised her tired blue eyes and looked out the small panes of the bow-window of her pub, THE CREW'S NEST. Swathes of mist meandered from the Solent, the griseous curtains obscuring the Gosport side. Already, the Isle of Wight ferries had stopped running and stranded travellers milled along The Hard. Custom might perk up a bit, she thought. 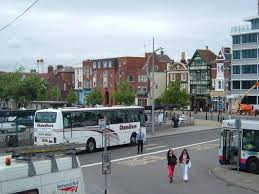 Portsmouth had never been the same since the Navy reduced the manpower and ships. The town suffered. Especially the pubs, she reflected. Not like the old days! Business had been brisk in 1950 when Mr Atkins had taken her on as a new barmaid at the age of eighteen. Now, she owned the place. Mr Atkins had left it to her when he died twenty years gone... They'd had some good times. She wiped the stained bar-top, as if rubbing away the memories of the more painful moments in her past, and smiled gently at Old Tom, one of her regulars. The other four regulars and their cheerful wives had also been great friends of Jack. Poor Jack. He got on well with all of them. So infectiously humorous. Second time in Pompey he'd taken her out on her night off. Within a couple of weeks they were in love. The post-war years were like that, it seemed, the ever-present Communist threat not allowing time for long courtship. Ruth recalled the night she heard about the terrible storm that seriously damaged Jack's ship off Korea... She was very happy, his latest letter tucked next to her heart, with a promise of marriage when he returned. Tom was playing on the piano. Frank Phillips on the wireless announced the incident - "five hands washed overboard, lost at sea two days ago..."
At first she didn't believe it and for many weeks she never slept properly, restive with sorrow. Mr Atkins and the regulars were sympathetic, but it didn't help. Her world had shattered. From that moment on she knew she would never marry. apart from an occasional lick of paint. Still the same, she thought, heart heavy with remembering. above the bar, harbouring dust and memories. "Same again, Ruth, please," Tom croaked. "Thinking about Jack?" Returning to the present, she poured his stout. "Yes, it's nearly the anniversary of - of the storm..."
Tom sighed, cragged features crinkling. "By, how time flies..."
"I'm going to miss this place - and all of you..."
Leaning his short fragile frame on the bar, he supped through cracked lips. "Aye, that compulsory purchase thing..."
"To make way for a multi-storey car-park!" Tom grimaced. "Cars! Damned nuisances! Nothing's the same with their new motorways, overflies an' an' things! We're left to cower through disgusting tunnels - subways? More like sub-human, if you ask me!" Ruth trilled the till. "I suppose the Nest is a trifle old nowadays," she allowed. Tom seemed ready to protest, but she went on, "I mean, we don't get the younger generation in, and the sailors seem to prefer the modern bars. Without you and my other regulars, Tom, I'd have had to close down long before..."
Gnarled veined fingers rolling a slim cigarette, he nodded. "Old or not, this has been my local for I don't know how long - since I started drinking... I'll hate to see it go - " He lit the cigarette, lips trembling, eyes squinting against the smoke, as if viewing his past self through the mists of years. He coughed, wheezing in air. " Still, you should get a few in tonight." He thumbed outside. "Look at it - a real pea-souper!" The door creaked open and two young lads sauntered in, dressed in the latest gang-fashion. The taller one whistled. "Hey, Pete, looks like we stepped out of Dr Who's time machine!" "Two Scotches," Pete ordered gruffly, leaning against the bar and studying the room. Then he sniggered, nudging his friend. "Ron - see old grandad's hands shakin' with his pint!" He hooted wildly, disconcertingly. "Want a hand, Pop?" Their speech was peppered with expletives in lieu of punctuation. In lieu of intelligence, Ruth amended, tight-lipped. "Up to his neck in muck and bullets..." mumbled Ron in a mock croaking voice. He grinned. "Should be put down when they're that old!" They laughed then gulped down their drinks - without paying. Heart hammering too fast, Ruth wanted to silence their inane chatter, to stifle their rudeness. It was hooligans like these who gave the younger generation a bad name... Her whole body seemed to shake with tension. She had to speak, to say something. She wouldn't stand for their nonsense and foul language. She wouldn't! "That's one pound ninety, please," she whispered quickly. Wide-eyed, Ron and Pete swivelled round, licking their moistened lips. "You want money, Ma?" Pete asked. "Okay, get us another short each and we'll pay for the lot." By now the whole room was listening, eyeing them furtively. There was no-one really young enough or fit enough to face up to them. In a sense, the atmosphere was as thick as outside. Slowly, she nodded, fearing that if she didn't get them another drink they would start smashing things... She had read of such goings-on. Shakily, holding the measured glasses out of their reach, she said with a firmness she didn't feel, "£3.80, please." Wiping the back of his hand across his sneering mouth, Pete said in an aside to Ron, "She's a crafty old biddy!" Ruth had never heard such a mirthless laugh before. It chilled her. At that moment a tanned, tall powerfully built man with brown hair entered. He looked in his mid-thirties. Fog swirled round his feet. Ruth placed the drinks down. "I'll be back for the money in a moment," she told them, turning to serve the newcomer. But Pete leaned over, upsetting the drinks, and grabbed her wrist before she could back off. "No you don't, Ma! We want servin', first!" Indicating the spilled drinks, he wheedled, "Now look what you've done!" "You're hurting me!" she gasped. His cold, heartless eyes alarmed her. She heard Tom bravely protesting. Then the old regular was silenced by Ron's threatening growl. Legs wobbling, Ruth saw the stranger clasping their collars. Their chins hung unhappily, eyes full of hang-dog pleas. "I believe you both have a bill to settle," the stranger said, his voice with an antipodean inflection. He shook them both roughly for added emphasis. Fingers fumbling, the pair dropped their money on the bar-top and Ruth subtracted the amount owed. Reaction made her fingers shake as she manipulated the till. She managed a smile, relief flowing through her. "I think you can let them go now." "Sure, Ma'am." He released them. Collecting their change, the youths dashed out without even a backward glance, ushered on their way with raucous laughter. Ruth sighed and held onto the bar-top, reassured by its age and solidity. Her legs still felt weak. "That was very kind of you. Let me buy you a drink." "No, it's all right," he said with an easy, strangely haunting smile. "I'm with my father - and he's paying. I think you knew him - Jack Palmer..."
But perhaps their thoughts were very much akin to Ruth's. Jack had returned to see her. Married or not, he'd thought of seeing her after forty-two years. Grey flecks in the hazel, just like Jack's eyes; and, even with the accent, his voice was mellifluous, his touch gentle as he held her hands on the counter. It was as though some of his youthful strength flowed from him, preparing her. "I'm Alan - Dad said you both wanted a son called Alan..." he explained. "He'd been washed up on the Japanese coast, three-quarters drowned. Suffering from advanced exposure, sunburned and starving, he was as near as anything to death, Ruth. "A girl found him, got her father - an Australian diplomat - to rush him to hospital. She saved his life. He married her..." he ended in a whisper. "But - ?" she managed to croak. "Why are we here?" He shrugged his enormous shoulders. "Dad asked me to come in first. Afraid you wouldn't be here after all these years." His eyes lowered. "You see, Ma died two years back. Even though he loved us, he's always wanted to return. We thought he was just homesick..." He looked up, into her eyes. "But now that I've met you, I can see why - "
It was like viewing an apparition. Jack stood in the narrow doorway, wisps of fog eerily meandering around him. Brown hair thinning, cheeks slightly hollow, the corners of his eyes creased with years, yet he was still instantly recognisable. Ruth's heart pounded and she sensed herself reddening. She wanted to say his name but her mouth was dry. Jack's son gently squeezed her trembling hands. Compulsory purchase, multi-storey car-park, inflation, bills - all paled to insignificance. The pub had been a substitute, a surrogate for her affection. But no longer. Jack smiled. The same old smile; laughter-lines more pronounced, that's all. As he walked up to the bar, smiling awkwardly, she discerned moisture other than fog on his lids. And she wondered about her own damp downy cheeks. Nervously drying them, she whispered, "The usual, Jack?" She was already drawing his mild and bitter as he nodded. "Yes, please, Ruth." Seeming to force his eyes away from her, he peered around the room, apparently marvelling at the immutability of the place. "It's just like it used to be, Ruth - it hasn't changed." Then he looked at her. "Nor have you..."
At that moment I was pleased for both Ruth and Jack and I even forgot about my uncertain future too! But it still looms large... I may have a long memory stretching back two centuries, but like all the people who have trodden on my boards I have no inkling of the future, which is probably just as well. Previously published in The Portsmouth Post, 2005. My choice for this week's 'Friday's forgotten book' is the first anthology of Thomas Ligotti’s short horror fiction, It originally appeared in a limited edition from Silver Scarab press in 1986. I read the revised Robinson (UK) version published in 1989 and this is the copy I’m reviewing. Presently available is the 2010, ‘definitive’ collection. In the 1990s Ligotti was popular, particularly in the small press magazines, notably in North America. He has since published over a dozen books. He has won several Bram Stoker awards. Ligotti has a knack of suggesting terrors, most convincingly in ‘The Frolic’, a tale that takes place in the house of a prison psychiatrist: you may guess at the ending, but even as it hits you, you’re reeling at the sheer suspense and audacity of the writing. 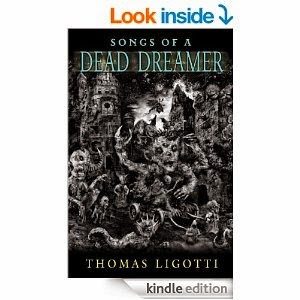 For Ligotti is a stylist, an original voice. Even the story titles resonate with originality: ‘Dream of a Manikin’, ‘Drink to me only with Labyrinthine Eyes’, ‘The Lost Art of Twilight’, and ‘Masquerade of a Dead Sword’. His tales involve madness, insanity of a subtle kind, narrators in the first person talk to you convincingly, and then surprise you: the magician and hypnotist who can raise the dead – almost; a horror story in the form of notes on the writing of the genre itself; and each tale written in metaphor and with dark and light humour, playing with words as well as emotions. An experience that stretches the bounds of imagination and should increase Ligotti’s readership. Thank you, Jeff Gardiner for inviting me over to your blog today! Momaya Press’ Short Story Competition is open to writers of any nationality writing in English and offers the opportunity for winners to be published in the Momaya Annual Review 2015. They expect entries to have been checked for proper spelling and grammar. In addition, 7 honourable mentions will be chosen for publication, as well as stories which are placed in their top 30 and fit the chosen theme. All winners will be published in the Momaya Short Story Review, which will be available to purchase online in November 2015. Alice Shepherd, previously editor at Penguin. Andy Callus, Deputy Bureau Chief for Reuters in Paris, France. Frances Jessop, an editor at Random House. Jasper Joffe is the founder of Joffe Books. Polly Courtney is the author of six published novels. 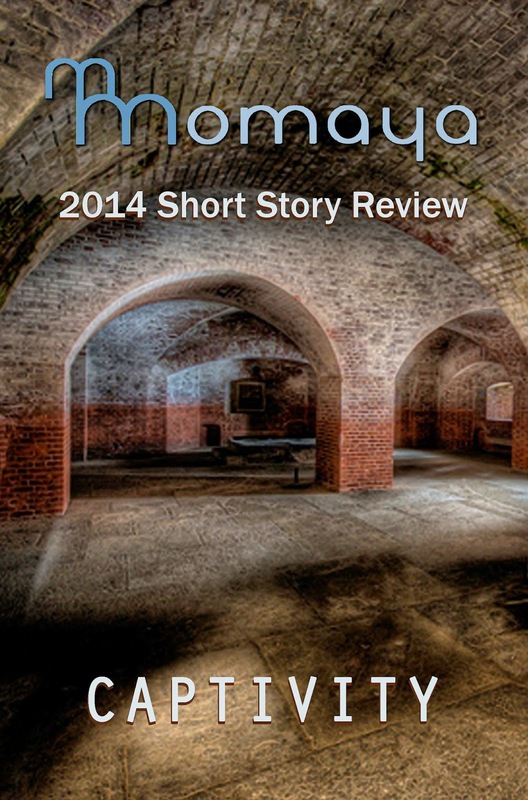 Every short story must be accompanied by an entry fee of £8 (or US $12) via Paypal. Payment by cheque in British Pounds may be sent via mail to their UK mailing address, listed on the “About Momaya” page of the website. You may submit stories that have been published before, as long as you retain the copyright. ‘Calm down, Brooke! Are you sure Harlmann’s rumbled you?’ Dent snapped irritably, h is professionalism grating on Brooke’s raw nerves. Brooke swallowed the lukewarm espresso coffee. His weak blue eyes scoured the deserted Wimpy restaurant. ‘I’m not – it just adds up. Shortly after I slip out a sample of FL3 for you, Harlmann convenes an urgent executive meeting!’ he explained edgily. FL3 was the codename for Portable Cutting Equipment Limited’s new liquid chemical to power their revolutionary lightweight portable thermic-lance called ‘Fire-lance’. Brooke paled as Dent’s gravelly words sank home. On becoming the Development Manager for PCE he had celebrated during his wife’s absence and unwittingly committed the indiscretion Dent had traced – or engineered. He had no choice but to go along with Dent. ‘But wouldn’t that make access to the FL3 formula almost impossible?’ He wanted to get out – and quick! ‘You’ve no further need of my … services?’ Brooke queried hopefully. Brooke’s stomach churned. ‘What about me?’ he demanded warily. Dent grinned. ‘Well, we won’t be greedy, let’s settle for £15,000.’ With that amount of money he would be glad to desert wife and firm! Brooke was sweating heavily under his pin-stripes as the large pine-smelling conference room filled with members of PCE’s executive. Agitatedly smoothing his greasy dark hair, he eyed the studded door, fearing Harlmann would turn up and denounce him after all. The telephone’s insistent blaring ring startled him. For an instant he hesitated, then grabbed the receiver. Lips trembling as he spoke, Brooke informed those present of the cancellation. As they departed, amidst a drone of mumbling, he faced the cashier. ‘Harlmann’s been kidnapped,’ he whispered. ‘And no police,’ Harlmann warned. The cashier wavered and Brooke’s pulse threshed maddeningly. ‘What – what can we do but agree?’ he asked persuasively. With his wife away visiting relatives, Brooke felt uncomfortable fondling the ransom money in the solitude of his Edwardian home. He switched on the radio to drown the silence. ‘If only I had the guts to run off now, with the lot,’ he mused as the bleeps of the nine o’clock news sounded. Suddenly Brooke’s mouth dried up. His spine tingled: a double-cross! Dent was likely trying to frame him for Harlmann’s murder! He’d better get out fast, before Dent arrived for the money and fixed him for the frame up. His ears pricked, detected a roar of cars. Police sirens wailed, freezing him to the spot. Two Panda cars braked at his feet, splattering his trousers with gravel. A deflated sinking sensation contracted his stomach. 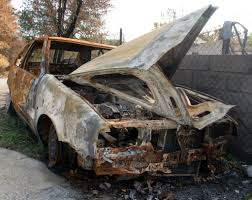 So Dent had informed on him. Then he mustn’t want the money; probably content with having the FL3 sample. In the drab confines of the small interrogation room, Brooke slouched over the bare table and confessed: he had no intention of being charged with Harlmann’s murder. ‘Well, that’s very interesting, Mr Brooke,’ Inspector Green observed. Brooke smiled sanguinely. So they’d caught the murderous swine! He thought as the door swung open. Then his mouth dropped wide in disbelief. Brooke sank defeated in his chair. Previously published in Parade, August 1972 under my joint-penname of Jon Teiffort. A handful of short stories were a combination of ideas and prose between a friend, Neil Robson, and me. We settled on the fairly simple anagram of ‘joint effort’, and the fee was split 50/50. Naturally, looking back over this now, some 42 years later, I know it could be improved. A certain magazine style was considered necessary to tell a tale in 1,000 words, so genre fiction short-hand prevailed in the writing. Still, I feel it holds up as a story, of its time. 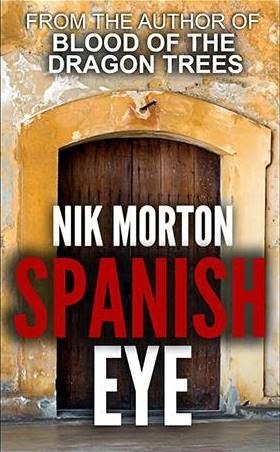 If you enjoyed this moral tale with a twist, then you might like my collection Spanish Eye, published by Crooked Cat Publishing, featuring Leon Cazador, private eye in 22 cases, 'in his own words'. Not the book of the film. 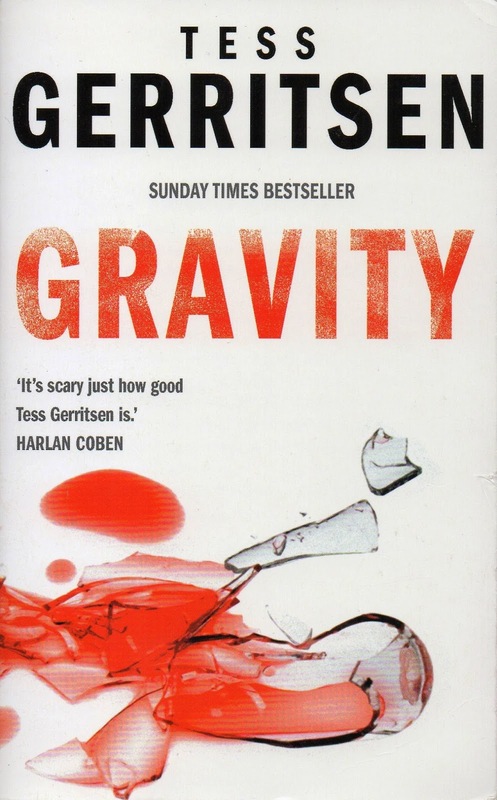 While the film Gravity is good to look at, probably moreso in 3D on the big screen, and Sandra Bullock does sterling work, virtually occupying the screen throughout, the story has very little plot and character interaction. That cannot be said of Tess Gerritsen’s book, originally published in 1999; amazingly it’s still in the top #50 on Amazon COM as I write. This was an unusual departure for Gerritsen, known at the time for her murder mystery medical thrillers. This is science fiction with medical thriller overtones. Like the countdown to a shuttle take-off, the beginning is a slow burn, getting to know some characters – notably Emma Watson (long before the first Harry Potter film was released! ), a research physician who is scheduled for a trip to the International Space Station (ISS). She’s going through a divorce from her husband Jack McCallum; he was trained as an astronaut but a medical condition grounded him. Almost at the last minute, Emma’s assigned an earlier slot to go to ISS. On getting there, when some kind of ailment starts plaguing the crew, one by one. The blurb gives it away: ‘a culture of single-celled organisms begin to regenerate out of control.’ Emma struggles to combat the contagion. And meanwhile Jack and NASA juggle with bureaucracy and some sinister elements in the hope of bringing the survivors back to earth. Until it’s realised that bringing them home is no longer an option; they must be quarantined in space, to die there. An immense amount of research went into this book, that’s obvious. The public has become rather blasé about astronauts and cosmonauts et al floating above us in the ISS – that bright star we glimpse on good cloudless nights. Yet their very existence is constantly under threat, from ‘out there’ and even from within. I have no intention of inserting any spoilers – I feel that the blurb writer spoiled some of the suspense by using that description – but let me just add that several revelations are made towards the end. And even though it’s almost 500 pages in length, it’s a fast read, an edge-of-seat experience, with a chilling conclusion. There’s a glossary at the end, thankfully, for as Gerritsen says, ‘NASA has been dubbed the National Acronym Slinging Agency’. A later blog will discuss a related subject – literary ideas and their fate. 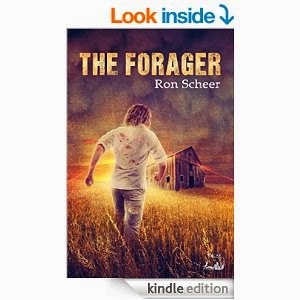 American writer Ron Scheer knows how to string words together, with a vengeance. He’s also gifted with good observation and a sense of humour, which is bound to help, since he is in a constant battle with cancer, aided in the fight by his wonderful wife. Just over a year ago he came out of surgery that removed most of a malignant tumour from his brain. 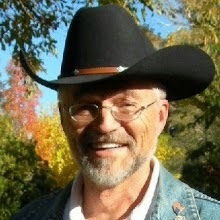 Since then he has intermittently written about his experiences, as well as providing illuminating book and film reviews on his blog, Buddies in the Saddle. 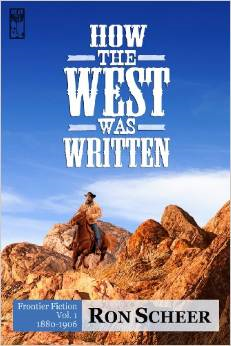 His prime interest may be westerns in all guises, but his inquisitive brain ranges way beyond that wild frontier. We writers strive to convey some of the ‘human condition’ in our fiction. Here, Ron gives us truly moving examples of it in beautiful prose. A heartfelt ‘thank you’, Ron. Keep writing! Do you like reading novels with strong female protagonists? Then try the Tana Standish psychic spy e-book series. Reading this excellent novel is a bit like an extreme sport. The pages fly by at a pace… in this relentless flow of exciting action and carefully researched information which lasts right up to the climactic denouement—in itself, both satisfying and rewarding—because Nik Morton’s writing is very smooth and totally believable. The Prague Papers gave me that feeling of “being there myself”, rubbing shoulders with his characters, and for quite a while after finishing it, I found myself thinking about them and all they had been through. 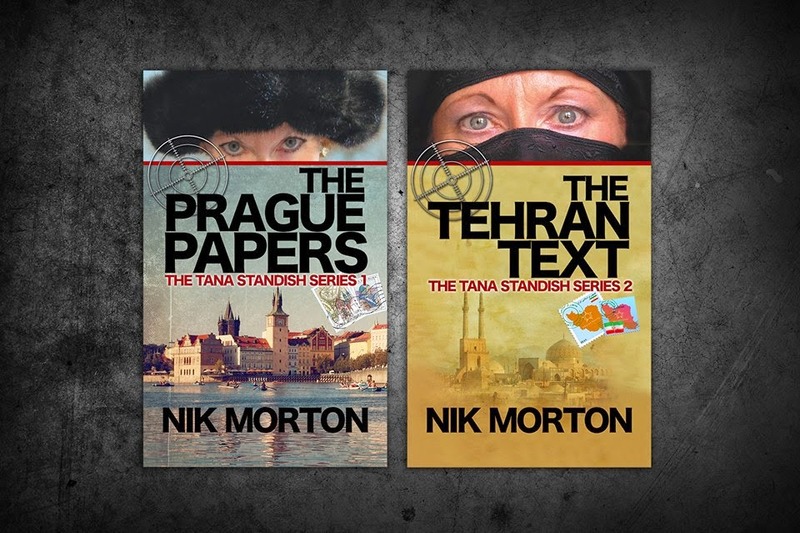 As well as creating memorable characters (Tana Standish will stay with me for a long time), Morton captures the essence of Prague and the Czech soul, educates us into the world of Eastern Bloc politics, and tells an intricate tale of espionage. As if this weren’t enough, he explores the fields of psychics and telepathy, adding intriguing depth to his story. Interestingly, Morton sells it as a true story passed to him by an agent and published as fiction, a literary ploy often used by master thriller writer Jack Higgins. Let’s just say that it works better than Higgins. … Male readers may find themselves enchanted by the lovely Tana… not only can Tana kick arse very well indeed, she's also psychic. Do you really want a relationship with an older woman who can not only read your thoughts but can also throw you around the room for having them? In addition to the nasty males running the Middle East terrorist groups, the book has scary women in droves… But masterful Morton handles them all very nicely and serves up a ripping read with a plot clever enough to stand up with the best of them. Nik Morton has the ability to use a factual background whilst infiltrating dynamic, larger-than-life characters that deal with seemingly real situations with a devil-may-care attitude that makes the reader wonder what is fact and what is fiction. In the spy thriller genre, Morton is certainly emerging as a very convincing spine-chilling storyteller. There are not too many books that stay with you long after you finish reading them, not too many characters who are so alive it seems like you recently met them. And so it is with Tana Standish, the psychic spy in this page-turning thriller. We travel to Iran, Afghanistan, Kazakhstan and England and meet a variety of brilliantly portrayed characters – some of them torturers, others who control a team of remote viewers, others traditional British MI6 agents. The locations are so finely drawn we can almost reach and touch them, the atmosphere so vivid that we can shut our eyes and sense ourselves there. For those who like their plots laid out skilfully and with painstaking research, Nik Morton's latest Tana Standish thriller is where you should be… Morton's novel evokes memories of the dangerous period during which the Shah of Persia was removed from power and replaced by the Ayatollah Khomeini. This is evil personified, and in amongst it, battling for her friends and her country, Tana Standish stands out as a heroine worthy of the pages of this compulsive spy novel. 1. Yazd is an ancient city in Iran. It’s featured in the book. What is Yazd famous for, apart from being one of the oldest cities, over 5,000 years in existence? A. Home of Zoroastrianism. Silk production; badgirs – air conditioning/wind-catchers; the city itself has a fire temple which holds a fire that has been kept alight continuously since 470 AD. 2. 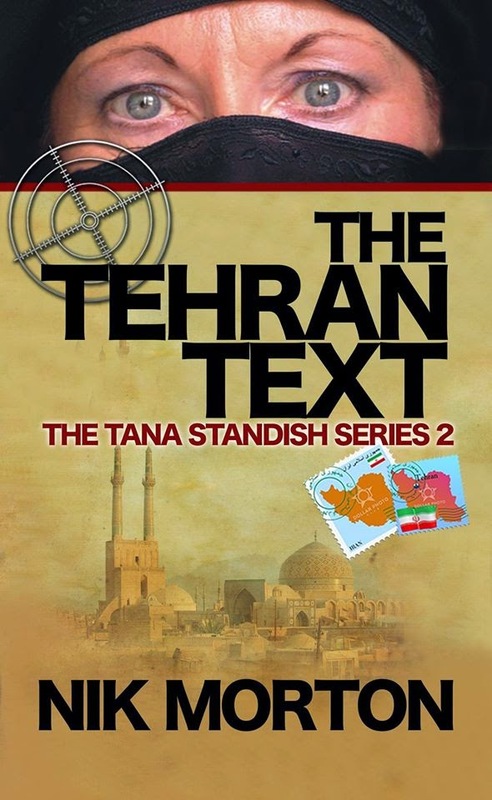 Tana Standish employs remote viewing to locate a friend in Evin prison, Tehran. Did the US and UK governments test this paranormal ability, and if so when? A. Yes, it started in earnest in 1975 but was wound up as being inconclusive in 1995. 3. At the time of Tana’s mission (1978), a Bulgarian journalist was assassinated with the help of KGB agents in London. Who was he and how was he killed? A. Georgi Markov, an umbrella fired a ricin pellet into his leg and he subsequently died of poisoning. Thanks to everyone who has purchased this e-book, the sequel to The Prague Papers. Writing – Now there’s a coincidence!